Noise sensitivity is considered to be a self-perceived indicator of vulnerability to stressors in general and not noise alone. Multiple chemical sensitivity (MCS) has to some extent been accompanied by noise sensitivity, indicating a moderate correspondence between them. The aim of this study is to investigate if the Weinstein's Noise Sensitivity Scale and Quick Environmental Exposure and Sensitivity Inventory's (QEESI) Chemical Intolerance Subscale can differentiate noise sensitivity and MCS as different entities, and if there are overlaps in the characteristics of noise sensitivity and MCS. In 2002, 327 individuals (166 men, 161 women; age range 45 - 66 years) from the Finnish Twin Cohort answered a questionnaire on noise-related and MCS items. Somatic, psychological, and lifestyle factors were obtained through earlier questionnaires for the same individuals. Both confirmatory and exploratory factor analyses (CFA and EFA) of the questionnaire items on the Weinstein's Noise Sensitivity Scale and QEESI's Chemical Intolerance Subscale indicated the presence of three factors - Noise Sensitivity, Chemical Sensitivity, and Ability to Concentrate factors - arising from the forming of two factors from the items of the Weinstein's scale. In the regression analyses, among all subjects, the Noise Sensitivity Factor was associated with neuroticism and smoking, and the Chemical Sensitivity Factor was associated with allergies and alcohol use. The study indicates that the Weinstein's Noise Sensitivity Scale and QEESI's Chemical Intolerance Subscale differentiate noise sensitivity and MCS as different entities. This study was designed to measure the sound output of four commonly used brands of forced-air dryers used by dog groomers in the United States. Many dog groomers have questions about the effect of this exposure on their hearing, as well as on the hearing of the dogs that are being groomed. Readings taken from each dryer at 1 meter (the likely distance of the dryer from the groomer and the dog) showed average levels ranging from 105.5 to 108.3 dB SPL or 94.8 to 108.0 dBA. Using the 90 dBA criterion required by the US Occupational Safety and Health Administration, dog groomers/bathers are at risk if exposure to the lowest intensity dryer (94.8 dBA) exceeds 4 hours per day. If the more stringent 85 dBA criterion and 3 dB tradeoff is applied, less than one hour of exposure is permissible in an 8 hour day. Cautions are recommended for any persons exposed to noise from forced-air dryers. Rats were daily exposed (eight hours/day) for a period of four weeks to the same high-intensity wideband noise that was recorded before in a large textile plant. Histologic observation of liver sections of the rats was used to perform quantitative comparison of hepatic connective tissue (dyed by Masson trichromic staining) between the noise-exposed and control animals. For that, we have photographed at random centrolobular areas of stained rat liver sections. We found that noise exposure resulted in significant enhancement in the area of collagen-rich connective tissue present in the centrolobular domain of the rat liver. Our data strengthen previous evidence showing that fibrotic transformation is a systemic effect of chronic exposure of rodents and humans to industrial wideband noise. The patients in the Intensive Care Units are often exposed to excessive levels of noise and activities. They can suffer from sleep disturbance, especially at night, but they are often too ill to cope with the poor environment. This article investigates the acoustic environment of typical intensive care wards in the UK, based on long period nocturnal measurements, and examines the differences between singlebed and multibed wards, using statistical analysis. It has been shown that the acoustic environment differs significantly every night. There are also significant differences between the noise levels in the singlebed and multibed wards, where acoustic ceilings are present. Despite the similar background noises in both ward types, more intrusive noises tend to originate from the multibed wards, while more extreme sounds are likely to occur in the single wards. 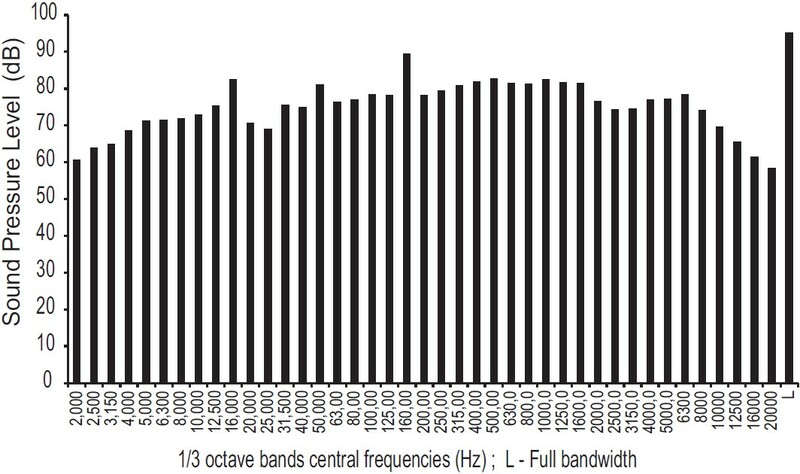 The sound levels in the measured wards for each night are in excess of the World Health Organization's (WHO) guide levels by at least 20 dBA, dominantly at the middle frequencies. Although the sound level at night varies less than that in the daytime, the nocturnal acoustic environment is not dependant on any specific time, thus neither the noisiest nor quietest period can be determined. It is expected that the statistical analysis of the collected data will provide essential information for the development of relevant guidelines and noise reduction strategies. Given the limited studies conducted within the African continent, the purpose of this study was to investigate the impact of chronic aircraft noise exposure and the moderating effect of home language on the learners' reading comprehension. The sample comprised 437 (52%) senior primary learners exposed to high levels of aircraft noise (Experimental group) and 337 (48%) learners residing in a quieter area (Control group). Of these, 151 learners in the Experimental group spoke English as a first language (EFL) and 162 spoke English as a second language (ESL). In the Control group, the numbers were similarly divided (EFL n = 191; ESL n = 156). A univariate General Linear Model was used to investigate the effects of aircraft noise exposure and language on reading comprehension, while observing for the possible impact of intellectual ability, gender, and socioeconomic status on the results. A significant difference was observed between ESL and EFL learners in favor of the latter (F 1,419 = 21.95, P =.000). 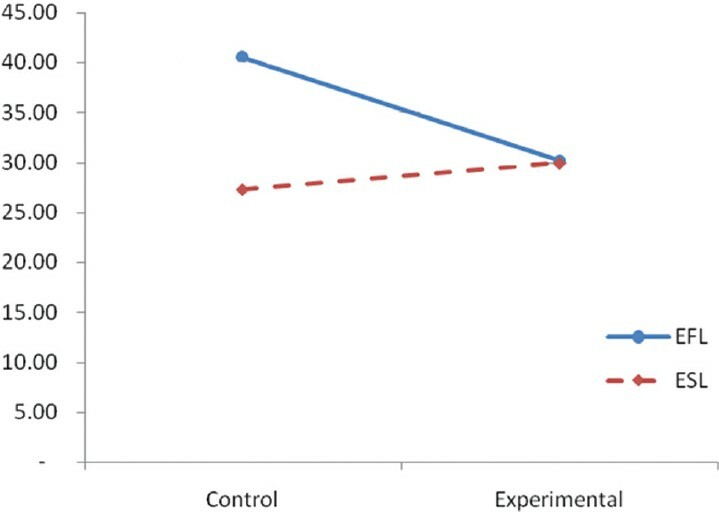 In addition a substantial and significant interaction effect was found between the experimental and control groups for the two language groups. For the EFL speakers there was a strong reduction in reading comprehension in the aircraft noise group. By contrast this difference was not significant for the ESL speakers. 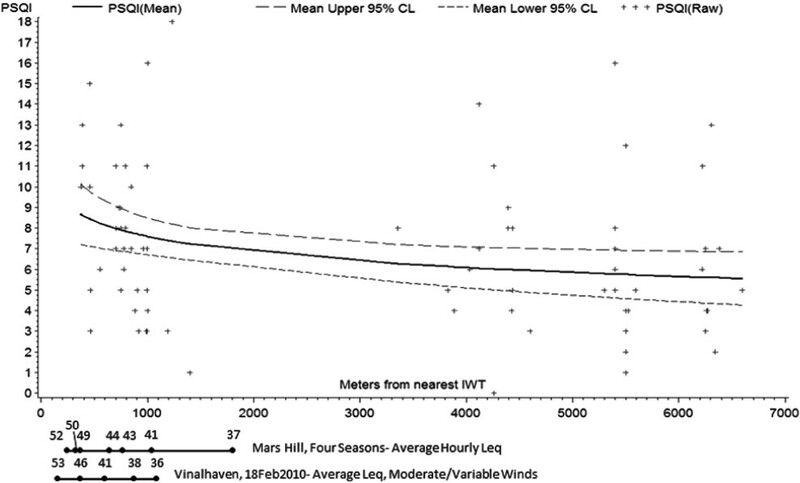 Implications of the findings and suggestions for further research are made in the article. 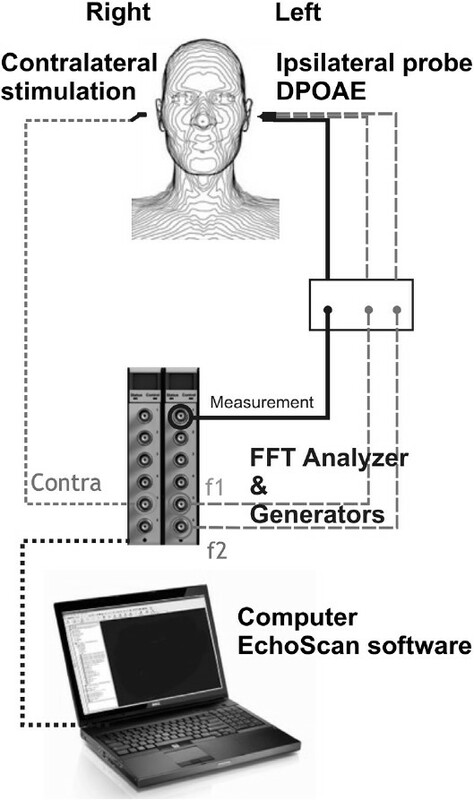 Pure-tone air-conduction audiometry (PTA) is the reference clinical test used in Europe and the United States to measure the extent of hearing loss. It is a subjective, behavioral test, which measures thresholds of hearing sensations and perceptions based on patient responses to frequency-specific pure-tone stimuli. PTA can detect hearing problems due to cochlear or retro-cochlear impairment, without identifying the source of the problem. In contrast, cubic distortion product otoacoustic emissions (DPOAEs) detect inner-ear dysfunctions, particularly those involving the outer hair cells sensitive to noise and ototoxicants. Recently, ototoxicants were shown to have an action on the central nuclei driving the middle-ear acoustic reflex. Therefore, a new device, called EchoScan, was conceived to collect and measure performance both in the middle- and inner-ear. Its originality: the use of a battery of DPOAE measurements associated with contra-lateral acoustic stimulation. Changes in DPOAE amplitude due to ageing and gender were incidentally detected and EchoScan was more sensitive than impedancemetry to detect the stapedial reflex. EchoScan can be used both in clinical investigations and in occupational medicine, especially for the auditory follow-up of people exposed to noise or ototoxic agents. EchoScan could be promising to assess early detection in programs to prevent hearing loss. 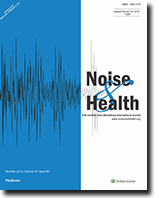 Hearing impaired and normal hearing individuals were compared in two within-participant office noise conditions (high noise: 60 L Aeq and low noise: 30 L Aeq ). Performance, subjective fatigue, and physiological stress were tested during working on a simulated open-plan office. We also tested two between-participants restoration conditions following the work period with high noise (nature movie or continued office noise). Participants with a hearing impairment (N = 20) were matched with normal hearing participants (N = 18) and undertook one practice session and two counterbalanced experimental sessions. In each experimental session they worked for two hours with basic memory and attention tasks. We also measured physiological stress indicators (cortisol and catecholamines) and self-reports of mood and fatigue. The hearing impaired participants were more affected by high noise than the normal hearing participants, as shown by impaired performance for tasks that involve recall of semantic information. The hearing impaired participants were also more fatigued by high noise exposure than participants with normal hearing, and they tended to have higher stress hormone levels during the high noise compared to the low noise condition. Restoration with a movie increased performance and motivation for the normal hearing participants, while rest with continued noise did not. For the hearing impaired participants, continued noise during rest increased motivation and performance, while the movie did not. In summary, the impact of noise and restorative conditions varied with the hearing characteristics of the participants. The small sample size does however encourage caution when interpreting the results.